This is our first release ever for Arma 3, so expect some minor bugs. Please report these bug(s) to us so we can investigate it and make a fix for it. We are with only 2 people, so it could take a few days before you’ll get a response or a fix. We started out with a lot of dependencies (attachments), at this point we are completely free of dependencies (other mods). The only optional mod is CBA_A3, this mod enables the magnifier. Without CBA_A3 you can still use the mod but, you can’t use the magnifier. The attachments are made specific for these weapons, so they may work on other weapons, but it is not supported. We have several versions and features. 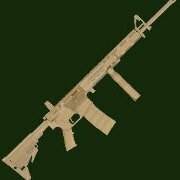 Animations like: Trigger, Bipod, Fire mode switch and moving bolt. Subscribe to the mod in the Steam Workshop and make sure the mod is enabled in the Arma 3 Launcher. Also check if you have setup the correct bindings for the MRT functions (CBA_A3). Otherwise the magnifier won’t be usable! One of our members has created a video in case you have problems with the key bindings. All knows issues at this moment are very little things and won’t have any impact on the usage of the weapon. First, I would like to thank my testing rabbits, for their support and testing in the last few months! 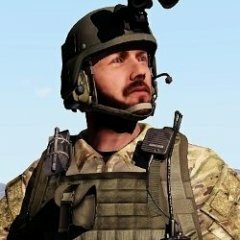 Thanks to the 11th AMB Dutch Arma 3 community[11thamb.com] for their beta testing. And finally, thanks to Bohemia Interactive[www.bohemia.net] for their wonderful game. We are not responsible if something happens to your game/system when installing/using this addon! This mod is meant for ARMA 3 by Bohemia Interactive. Any commercial or military use is strictly forbidden explicit permission by the author is forbidden. Editing or redistributing the mod without explicit permission by the author is forbidden. Thus, making any commercial gain is NOT allowed by renting/leasing, selling of the mod. Thank you Justin. I have a little cosmetical update very soon. Sideguards, buttstock and magazine (thicknes). I keep you all posted. looking very nice! can't wait for the next update! Mini update is on steam now! Have Fun! It is on steam now. Have fun! is there any intention to incorporate joint rails support? That would mean CBA would be a requirement of the addon. Depends if the authors wish to go down that route. There is a new update on steam now. Have Fun! And to answer the question. No at this point we will not add other things to our mod. Because it mimics a certain config used by the Dutch Army. It is feature complete with some artistic freedom here and there. Soon we will have a new update ready with a graphical overhaul.